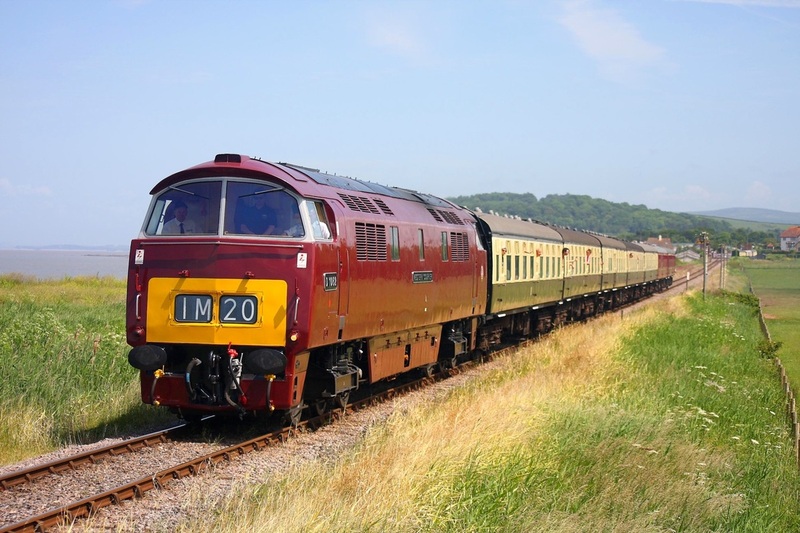 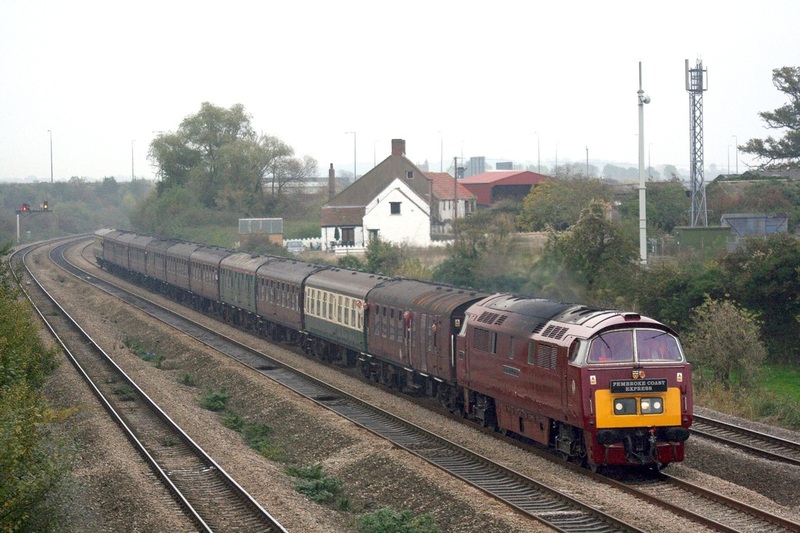 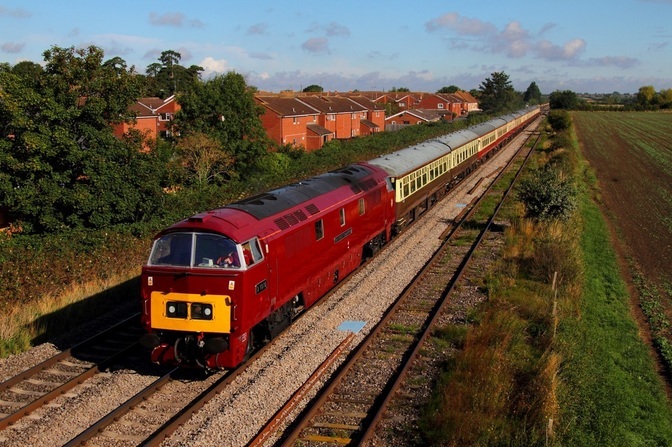 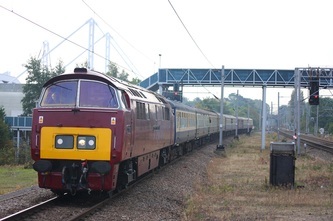 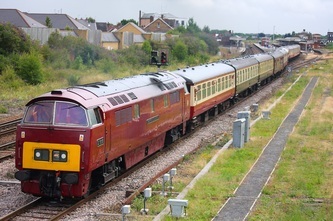 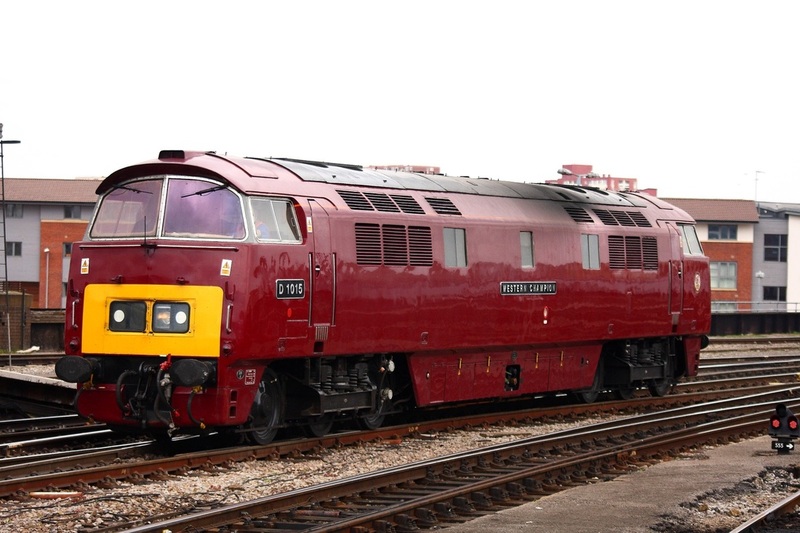 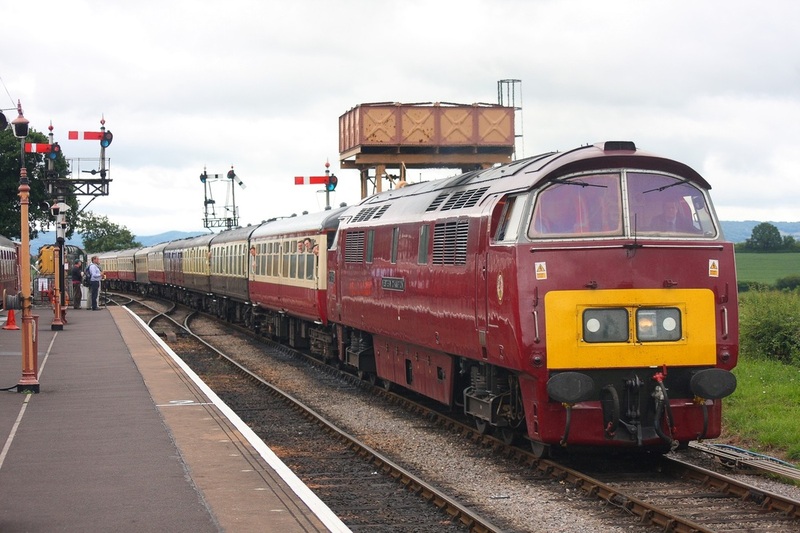 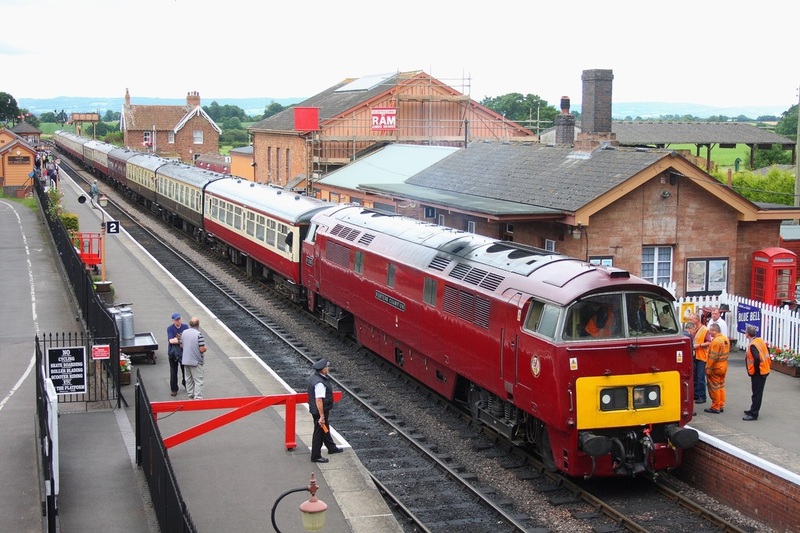 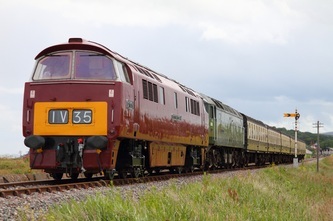 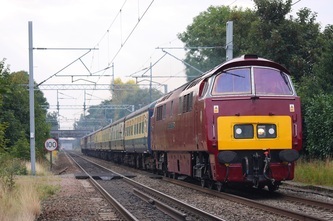 D1015 'Western Champion' hauls the 1Z52 05:53 Leicester to Weymouth 'Wessexman Western' Pathfinder railtour at Ashchurch on the 7th September 2013. 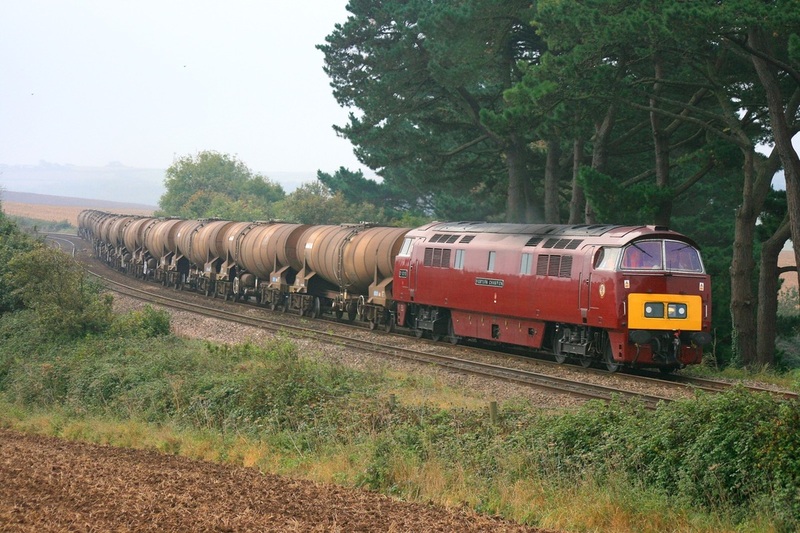 Undoubtedly one of the rarest workings this century, on Thursday 15h October 2009, D1015 Western Champion hauls the 6Z52 09.35 Tavy Junction-Burngullow Colas Rail China clay tanks at Trerulefoot in Cornwall. 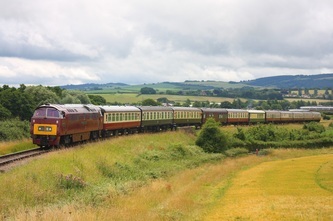 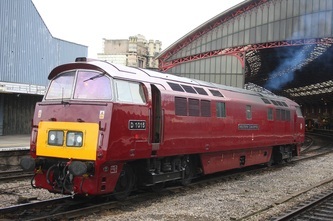 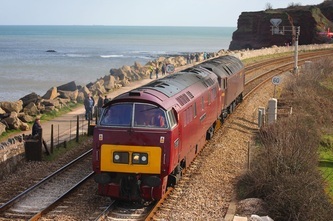 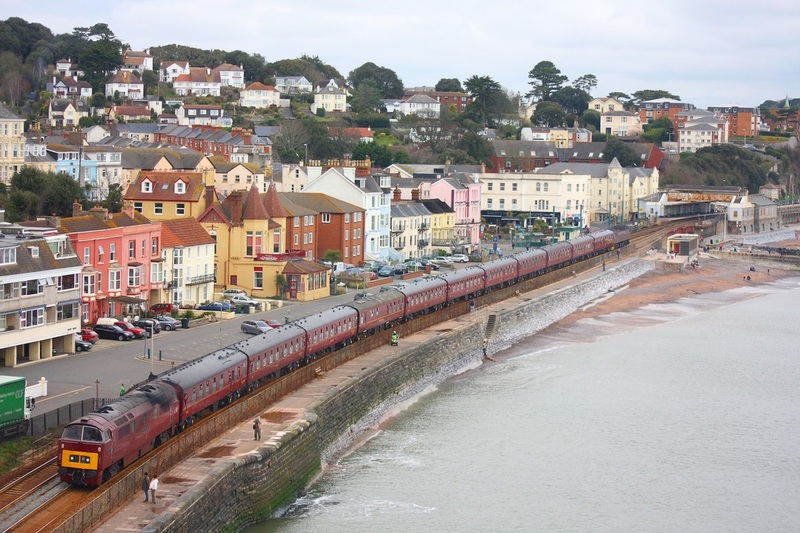 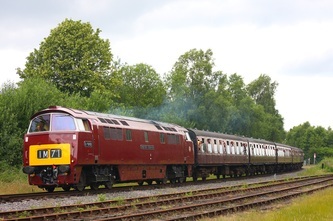 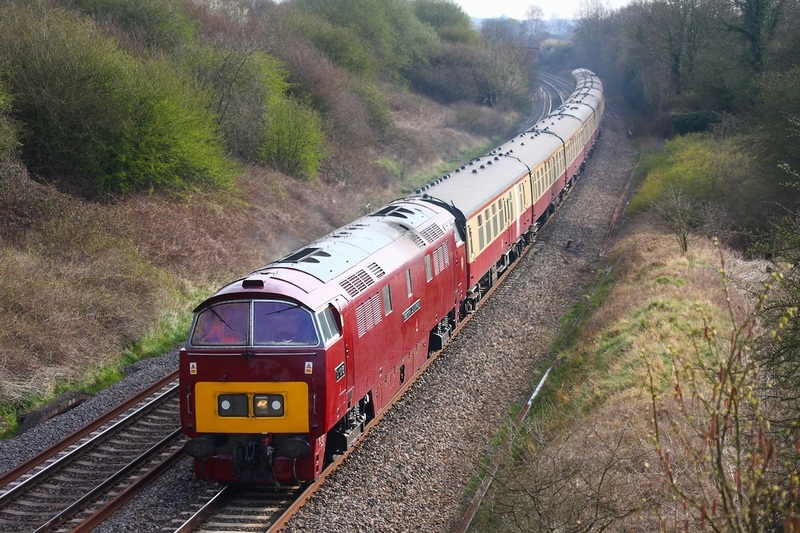 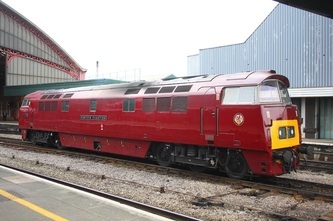 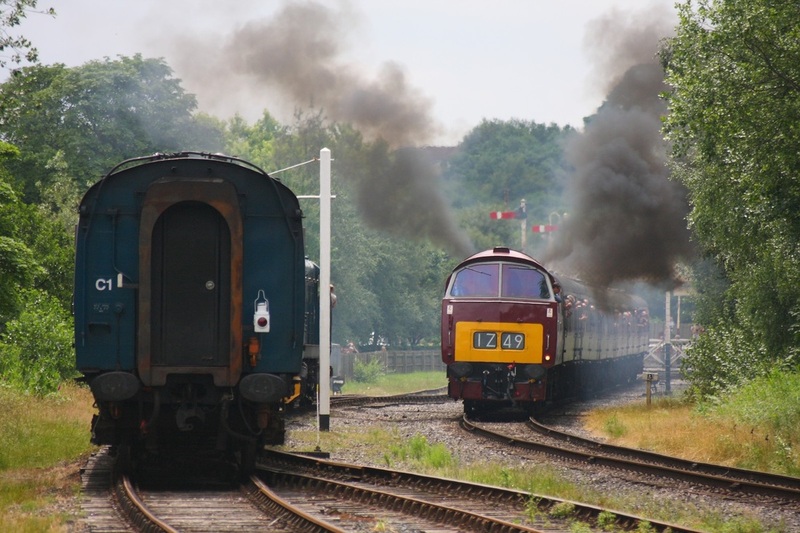 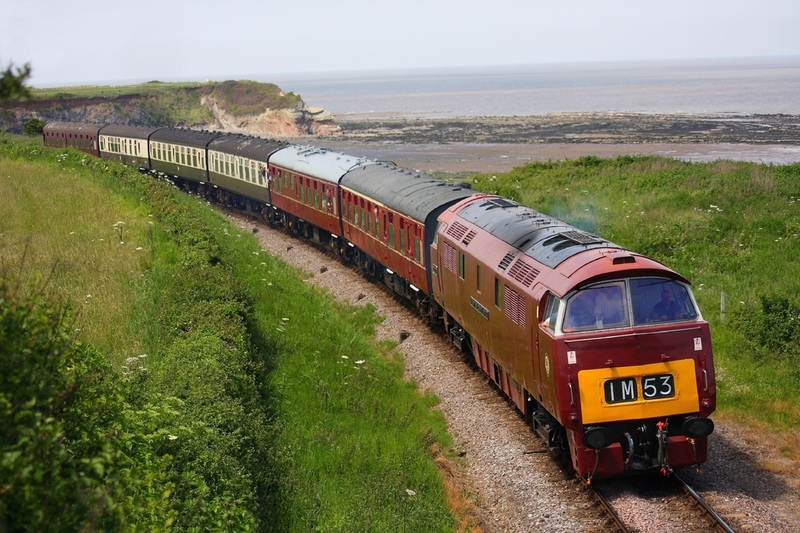 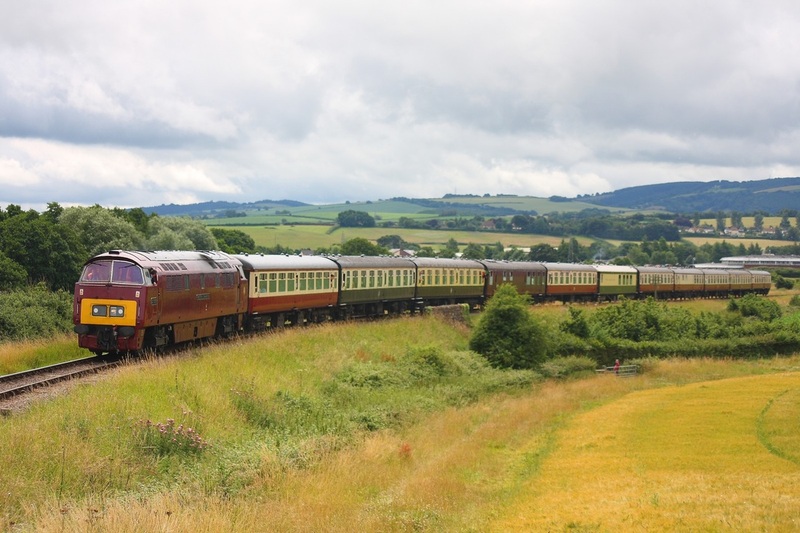 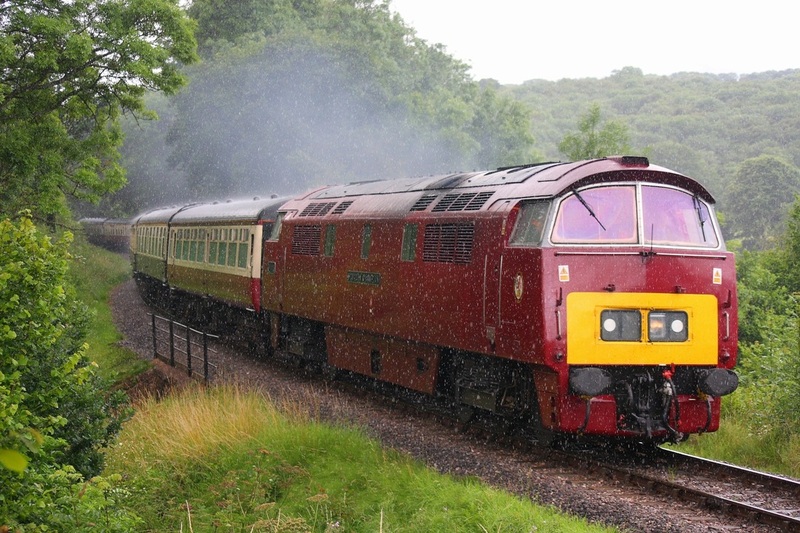 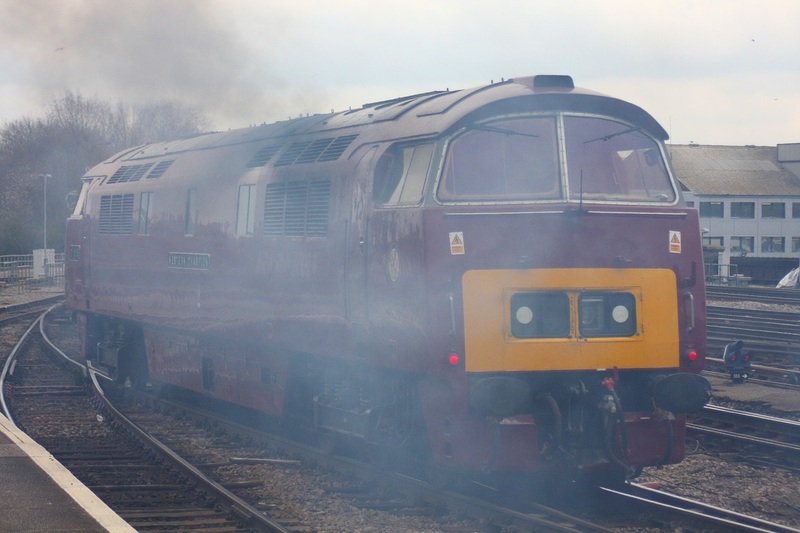 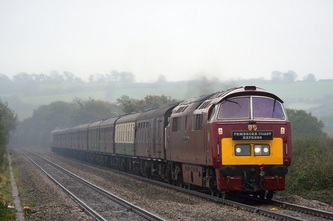 D1015 had hauled the wagons the previous day from Quidhampton to Tavistock junction under the same headcode.